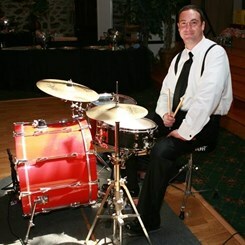 Anthony Cracchiolo ( http://bit.ly/acdrums ) is a graduate of Berklee College of Music and Downingtown High School. He is a professional musician and has been teaching drums and percussion at the Music & Arts Center in Exton, PA. since 2001. A gifted percussionist with an M.A. in Performance from Berklee College of Music, Anthony has developed as a performer as well as a teacher of all styles and theory. He's inspired generations of local drummers, many of whom have been recommended through the Downingtown Area School District Music Department. Some have gone on to pursue their passion for music a Juilliard, Berklee College of Music, West Chester and Temple University. Over the past 15 years, Anthony has gained significant experience in modifying percussion for a range of special needs students. His caring yet disciplined approach to teaching the art of percussion to special needs children has helped students from their early elementary years through high school, and some into their early twenties. Anthony's years of performance experience includes various cover, wedding and original bands. See http://bit.ly/acdrums for student / parent testimonials and more.